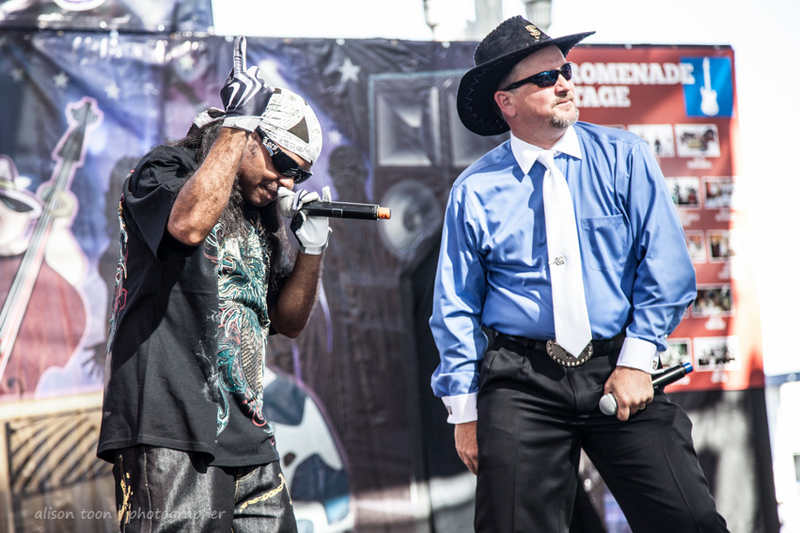 Cowboy and a THUG, performing at the State Fair, Sacramento, a set on Flickr. I'm so glad I was in the right place, at the right time, to see Cowboy and a THUG (or is it T.H.U.G.?) performing at the state fair. Think rap and rodeo can't work together? Think country and hip-hop just don't blend? You might be wrong! These guys are hliarious. "Rodeo Hip-Hop". But they are talented and musical too. Makes you want to dance. They have auditioned for America's Got Talent... watch out, America!